We had a mini concert at Vouvry High School today. Our audience are the high school students who are also within our age range. We’re amazed at how much taller they are than we are, but we were not intimidated. 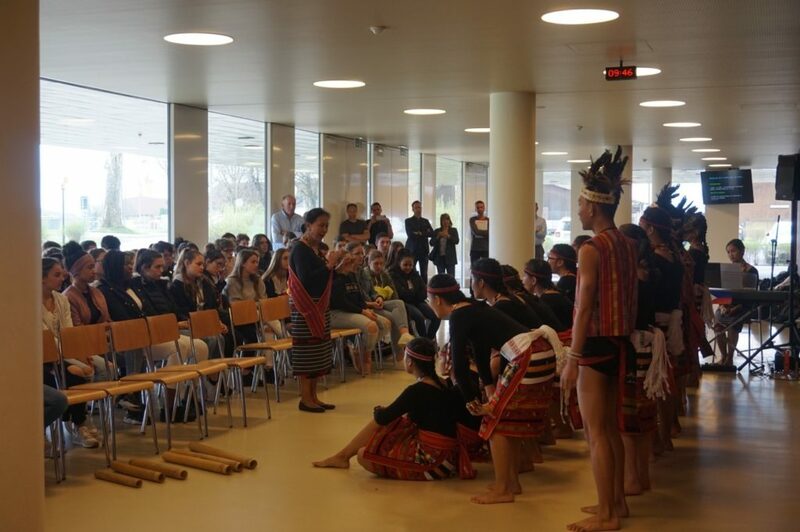 We proudly presented our culture through our songs, and they really enjoyed it. After our performance, they let us play in their amazing gym. 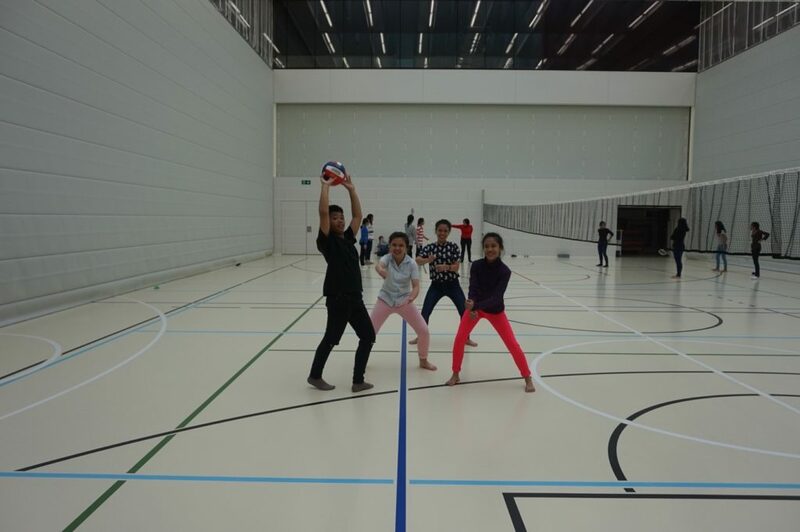 Some of us played basketball, while others played volleyball and badminton. Sur le chemin de retour, nous avons visité une ferme où nous avons pu voir de près les animaux. Nous avons aussi partagé des snacks avec la famille du propriétaire de la ferme. 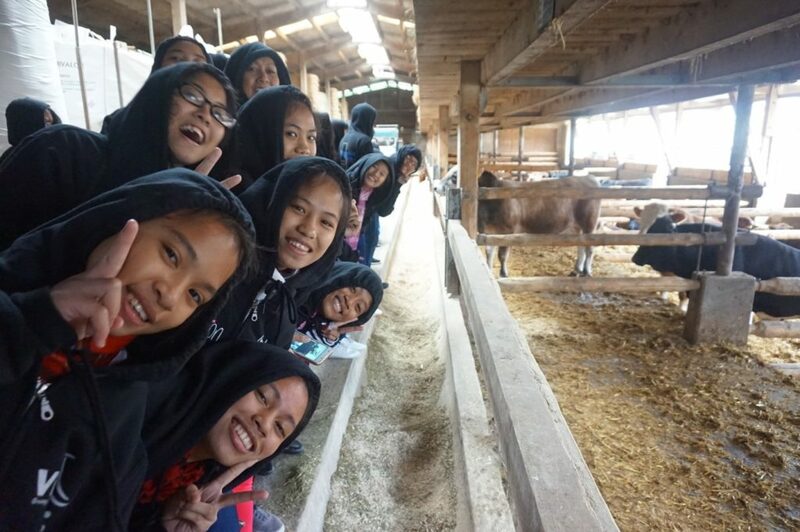 On the way back, we stopped by a farm where we were up close and personal with farm animals. We also had some snacks with the farm owner’s family. 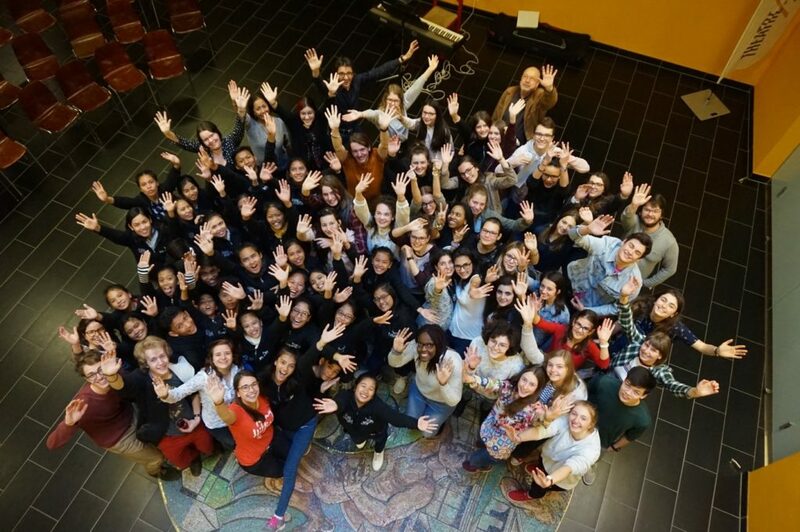 Lorsque nous sommes retournés à St-Maurice, nous avons rencontré la chorale du Collège de St-Maurice et nous avons eu du temps pour créer des liens avec eux. Nous avons aussi eu une « jam-session » l’après-midi et une autre rencontre avec des étudiants de St-Maurice le soir. When we arrived back at St. Maurice, we met the St. Maurice choir and had some time to bond with them. We also had a jam session in the afternoon and another meet up with St. Maurice students in the evening.